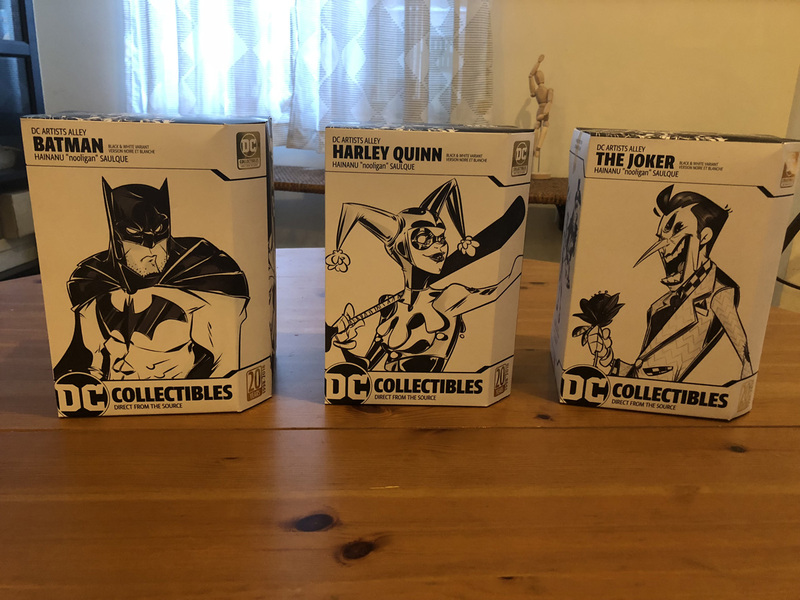 DC Collectibles has provided ComingSoon.net with the chance to unbox three brand new DC Collectibles Artists Alley Black and White Variants, featuring Batman, The Joker and Harley Quinn. 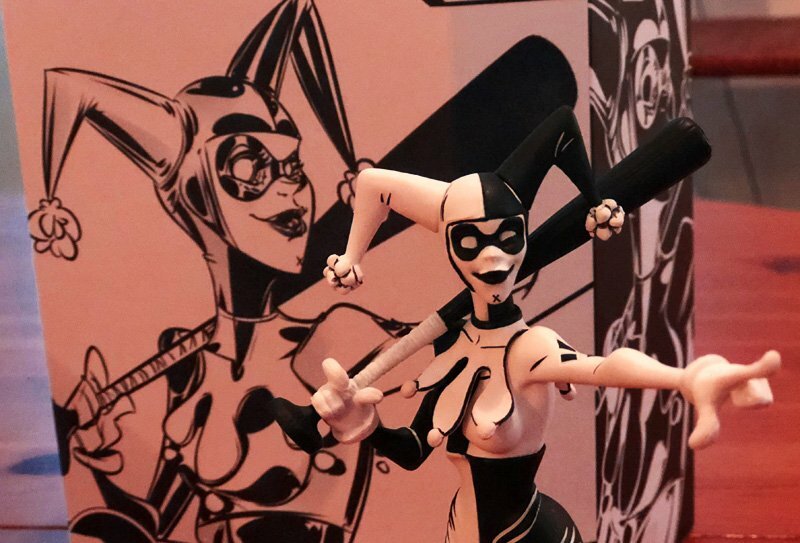 Check out these vinyl figures from illustrator Hainanu “Nooligan” Saulque in our DC Collectibles gallery below, along with previously reviewed items! DC Collectibles invites you to walk Artists Alley with them where Batman has never looked so cool. Hainanu “Nooligan” Saulque is an artist, comic creator and graphic designer based in Sacramento, CA. From the cartoons of his youth to films he missed by decades, from golden age comics to classic newspaper strips, you will find a creator who has immersed himself in what he loves. Inspired by the comic convention experience, DC Artists Alley is an artist-focused limited edition vinyl statue line that merges indie design with the most iconic characters in the DC Universe. Each figurine is sculpted by Paul Harding and has a limited edition run of 500 each. Batman measures approximately 6.4” tall, Harley Quinn measures approximately 6.85” tall and Joker measures approximately 6.97” tall. They will retail for $40.00 US each, and are on sale September 2018 from DC Collectibles. The post DC Collectibles Artists Alley Batman B&W Statues Unboxing appeared first on ComingSoon.net.